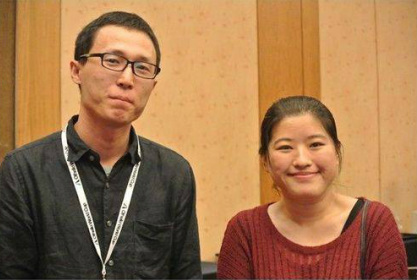 This interview was done by Romy Hidayat, right after Yan Song and Zhen Dong won their final game and became King and Queen of Othello. 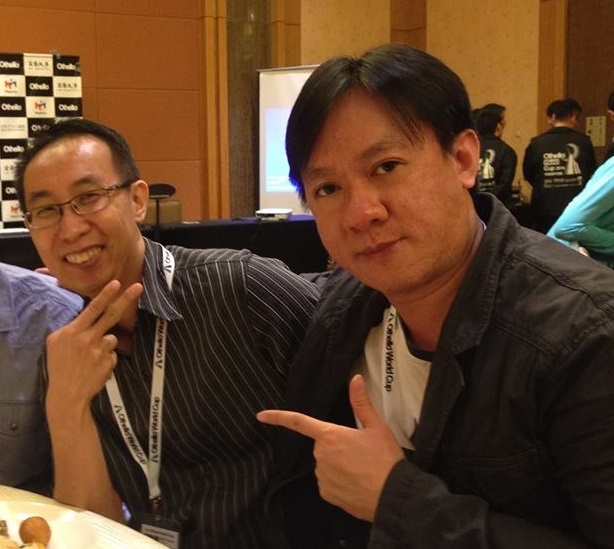 Special thanks to Sky Chong who acted as interpreter. First of all congratulations both of you for becoming the new Champions, what a pleasant surprise. So how do you feel right now ? DZ : The feeling is very special for me, I feel there is still room for improvement for me, It is fantastic. YS : I'm very happy right now. My original target was just to be in quarter final only, but eventually I became the Champion beating the others 7 japanese. Very very happy. So how did you train / practice for this tournament in China ? DZ : In China there is no a lot of competition like in Japan. So a lot is based on pure interest in this game. It's not also for the money because it's not much money involved in Othello, so a lot of times we practice this by going online to play with other players. YS : In China I prefer to go to QQ games centre, something which is more for the Chinese people because the server in China is very slow to access PlayOK from China. 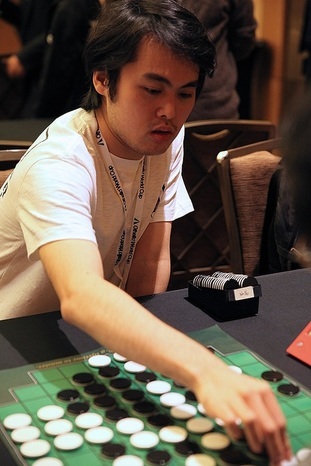 Prior to this competition I played an averaged about 5-6 games just to teach myself up for the tournament. How many empties can you calculate at the end of the game ? YS : To be frank I'm not able to calculate the exact score because a lot of times when I feel that I have the win very often it turned out that it was some minus move. So I just predict the best line. DZ : I find it's very very hard to calculate. I still feel that I don’t have the necessary experience to do that kind of calculation so it's good to learn from the champion Yan Song. What do think should be done to make Othello more popular in China ? DZ : In China a lot of them like to play in QQ games centre from the initial 200 plus people that play the game now it's more about 2000 plus. They actually have people to do research how to make the game more popular in China, and how to promote the game in schools and writing Othello books. What was your most memorable game in this tournament ? DZ : The game especially against Lee Choon Foong from Singapore, I actually played very daringly not my usual style of playing. And after playing that kind of style I've got 2 consecutive wins. I'm very happy about it. YS : In the preliminary round game against Yusuke Takanashi. I actually felt against all the other Japanese players I still have some chance to win, but against Takanashi I had little confidence. In the end I won the game, so Im actually very happy about it. 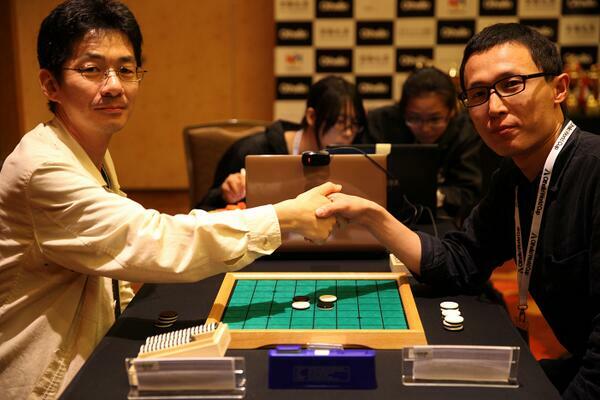 Last question, could you both give some advice to all the Othello fans how to improve their game ? DZ : I feell that to improve the game the best way is to play against WZebra. You can go online and play against opponents but they won't play the perfect moves against you. So if you’re playing against a program like WZebra you will always have a very tough opponent. YS : I feel the best way to improve your game is to play on the board, review the games, play against other players, there is more interaction with them and you gain more experience. After that you can go home and practice against the program, but the best way is still on the board training. Thank you very much Dong Zhen and Yan Song for this wonderful interview and once again congratulations to the both of you. At the Victory Dinner, Yan Song was asked to deliver a speech. At the end of that speech he said that he was both happy and sad. He was happy because he won the tournament but also sad because all has to end and we all will go home. Very well said Song Yan, the new King of Othello! Interview by Romy Hidayat with special thanks to Takeshi Murakami who acted as interpreter. The interview with Takizawa, (World Othello Champion 1985, 1994), was done in the interval between quarter final game and semi final. Takizawa san, congratulation for qualifying for the quarter final and through to the semifinal. MT : Thank you very much. You have been playing high level of Othello for more than 30 years, how do you maintain such a high level of playing ? 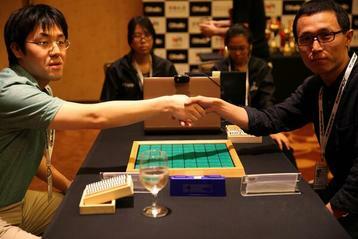 MT : When I was still University student I played so many games, thousands of games against my brother Nobuyuki Takizawa. He finished 4th place at the WOC 1993 in London. I have obtained such a expert level and ever since using my experience as I aged. Back then there was no internet and no computer. The only thing I had were the transcript of the games of good players from the past championships: So I replayed these games and try to think on the board how should I play if I were them and try so many different lines to determine which is the best move. Since I didn't have any computer, I had to do it on my own and it has become my ability to think ahead. Even now I don't play on internet and replaying games still is my practice. In the last few years in Japan, Othello has been dominated by a younger new generation with players such as Takanashi, Okamoto, Ito, Yamakawa, Miyazaki, Satani, Kurita. Do they push you to perform better than you ever did before ? MT : They are really not my rivals because they are so good even better than me. I have amazing respect and admiration for them. They have become so good in such a very short period of time. What I think when I play against them is that I want to learn from their play, they are my teachers. When I'm playing a good game against them I enjoy this game very much. I don't really intend to outplay them, I just want to enjoy, especially close games with them. Unfortunately we have to cut this interview short as the semifinal is about to start and you have to get ready for your game against Yan Song. Thank you very much Takizawa san, you are truly a real modest champion. I hope this short interview can inspire anyone who love this game so much. RH: I was so impressed with his answer about the younger generation. 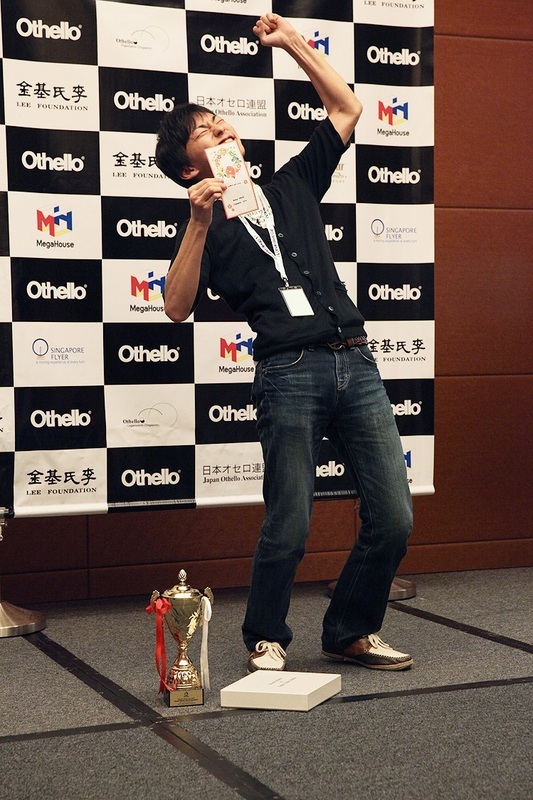 It shows us how passionate he is about Othello, the game we all love. To be ever on top as world champion and then acknowledge that there are better players and willingness and eagerness to keep learning, it shows how great his character is. 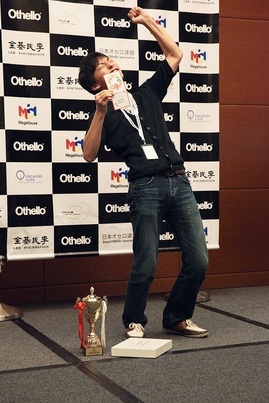 Masaki Takizawa is a champion, fan, practitioner, master, teacher and also student of Othello. 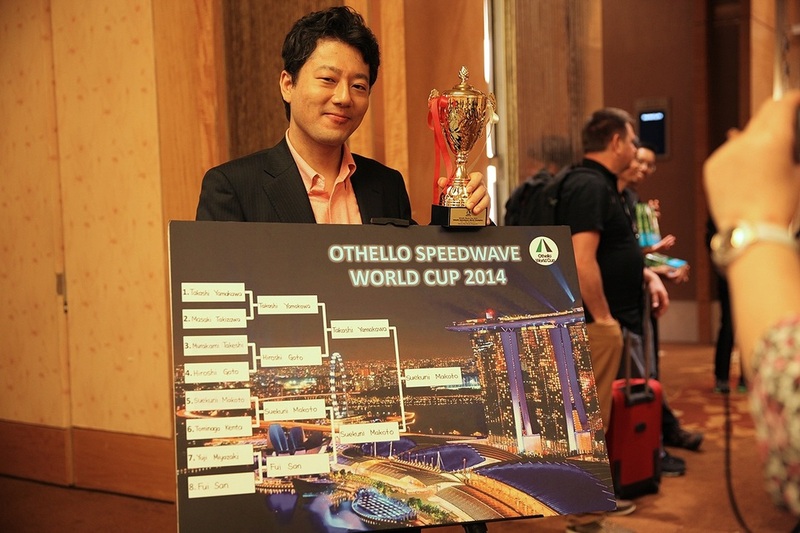 First of all congratulation Tetsuya for winning the Miracle 5 Sky Guest in OWC for two years in a row. TN : yes, thank you. I heard that you never lost on this game, so is there any similarity between this game and Othello? TN : First, I have lost once in Japan. And yes there is a similarity in this game with Othello. When you are playing Othello, you have to take less discs or flip few discs as possible and speaking about miracle 5 you have to go very very slowly not to make a lot of moves forward if possible and you have to got to know when to make a good “check”. To be able to do that you have to make your opponent moves forward more than you do. For example when you check an opponent by moving one square, then your opponent have to move two squares, that would be good for us. In your personal term, what is the difference between last year OWC and this year OWC ? TN : This year is really worthy tournament for me compare to last year. I prefer this year OWC much better. Since I played better too than last year by reaching the quarter final. So Tetsuya, in this year OWC I see at least 4 old generation of Othello players in the quarterfinal like you, Kenta Tominaga, Hiroshi Goto and Masaki Takizawa while last year OWC was dominated by young generation Japanese players. 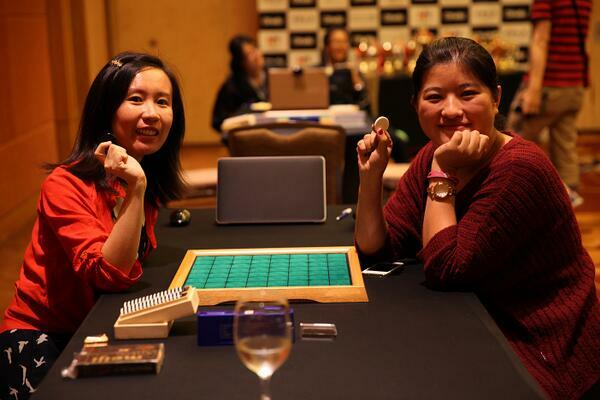 Do you think the emerging of this new Othello players making the old generation more difficult to win major tournaments in the world and in Japan ? TS : Yes it is very very difficult, when we were young we didn’t have computer so it took long time for us to know what the best moves are. So they have the advantage to become very good in such short time. Most of them also still studying, so they have more time to study Othello too compare to us. But if you had the time, what would you do ? TN : I will study with computer and will try to remember many many opening sequences. I tend to play with unusual openings which my opponents don’t know, but it is quite risky since its not the best move. You are still one of the top players in Japan, so for this year what tournament would you like to win the most ? TN : Of course the World Championship, but as you know I have to win either Meijin, All Japan Championship or Ouza Sen to be able to qualify for WOC. You have played in WOC, OWC and Japanese major tournaments, what tournament do you think have the best format ? TN : I like them all, in Japan we have single elimination but we have to win just one in three major tournament. While in OWC and WOC if we lose one game, we still have the chance to become champion. Thank You Tetsuya for your time, I wish you good luck for the rest of the year and hope you will win one of the Japan’s major tournament to qualify for the World Championship. First of all congratulations to all of you for wining the Grand Othello, 8 Star Othello and Othello Speedwave. Yusuke and Takashi you’re both very young but already very very good, how do you practice ? TY : Im not so young. TY : I practice a lot on internet especially in PlayOK. YT : I also play a lot on internet. And I also use Nakajima’s Othello website, there is some application for practice on his website. I heard that, this is the last Othello World Cup. Are you both very disappointed not to win it ? TY : I'm disappointed, but happy to play here. YT : Yes a bit disappointed. You both have played in WOC and OWC, what is the difference between these two tournaments ? YS : The biggest difference for this OWC is the second day. After having 4 last games then we immediately play in the quarter final. So we didn’t have time for preparation and also we didn’t have any transcripts yet. So in this OWC it is very important to have very good preparation in such small window of time. While in WOC we have time and transcripts to prepare for the semifinal on Saturday. So now is a question for the three of you. Are you rivals or friends ? MS : they are less than rivals, I can win anytime. YT : all opponents over the board are rivals or enemy, FIGHT !!! MS : Of course we are friends, only for Yusuke we all enemies. This is the first big tournament to begin in 2014. What next big tournament you want to win the most in 2014 ? And who will you fear most in that tournament ? MS : Ah yes he always lose to Takahiro Sugase in every tournaments. MS : yes always. Just check the database for every Takanashi’s losing games yah. Makoto you are old generation player who study and learn Othello by yourself before there is any program. While Yusuke and Takashi are both new generation of players. Please give your opinion about the difference between your game ? MS : I prefer to try new openings which nobody know. I try and develop new opening sequences. I also use the help of the program but final judgement is by myself. I believe in myself more than program. TY : Generally new player studying so much with program. I am relatively new player but I didnt practice so much with program when I started playing Othello. I believe in over the board practice too. MS : He is a mixed one, a hybrid. YT : The biggest difference between old generation and young generation is the depth of the opening books. The old generation players are very technical especially in midgame so the midgame skills are not so different between old generation and young generation. So the key to win against old generation players is how to make an advantage early in the opening session, then we just need to keep hang on until the end. This is quite important. Wow thank you so much for the wonderful insight into the mind of the great Othello players like you. This will help us to improve our game. Thank you so much for the interview and I wish you all good luck for the rest of 2014. Romy Hidayat: WOC champion 20--? ?